Or to be more accurate, it is a Lomo hipster squid with a messanger bag. Another piece inspired by the hipster ipsum challenge. 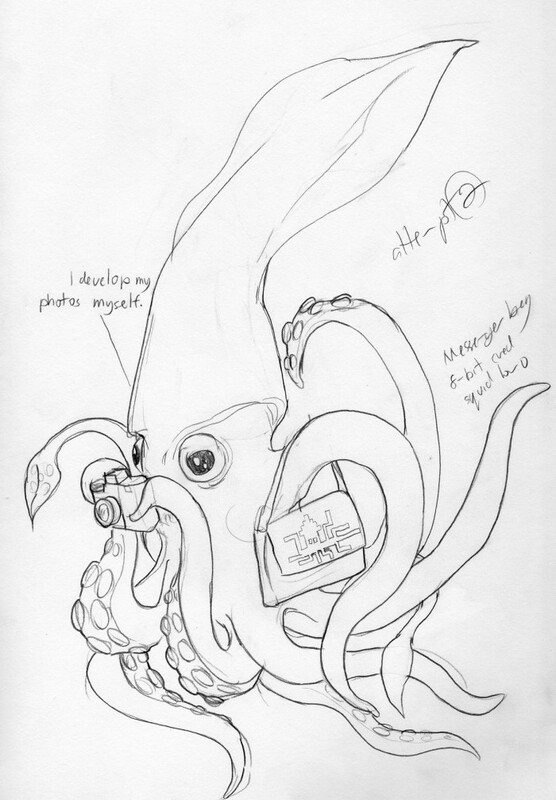 This entry was posted in Scanned Desksketch and tagged hipster, Hipster Ipsum, squid by Anthony. Bookmark the permalink.